Hi, I am writing in regards to the property at *** Ketch Dr, Naples, FL 34103. Please send me more information or contact me about this listing. No FEMA building limitations in this X500 best elevation Flood Zone. Enjoy the current one floor home, Remodel the existing residence without any FEMA limitations or Build your new custom Dream Home in the best possible elevation category in Southwest Florida! New custom homes have enhanced most streets in this coveted Moorings area. An incredible opportunity exists to capture a large southern exposure property on a 95 x 150 lot in the Moorings just minutes to historic Old Naples shopping and dining and just blocks to the famous Naples crystalline beaches! Boating on the Bay and out to the Gulf is easily accessible with boats and docks nearby for lease or purchase. The current home is wonderful offering a newer kitchen with granite counters and an open window to the glassed lanai, newer roof, a 3-year old HVAC system, large sized ivory tile floors, a screened pool with fully fenced in rear yard, a 2 car garage, one floor living and a lovely hometown street full of friendly year-round neighbors. Moorings Beach Park is an exclusive Moorings amenity where town residents gather for neighborhood events. 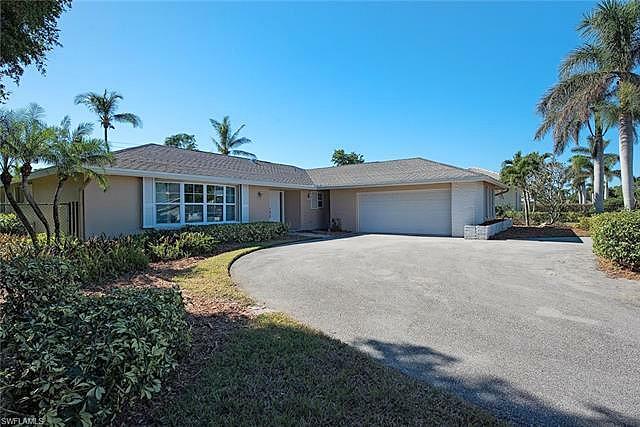 Seller has Builder Dream Home Plans for this property listing agent will share.This rent to own home is a single family home located in Naples. It offers in size, 3 beds and 2 baths. Review its detailed information and determine if this Naples rent to own has the qualities you are looking for.